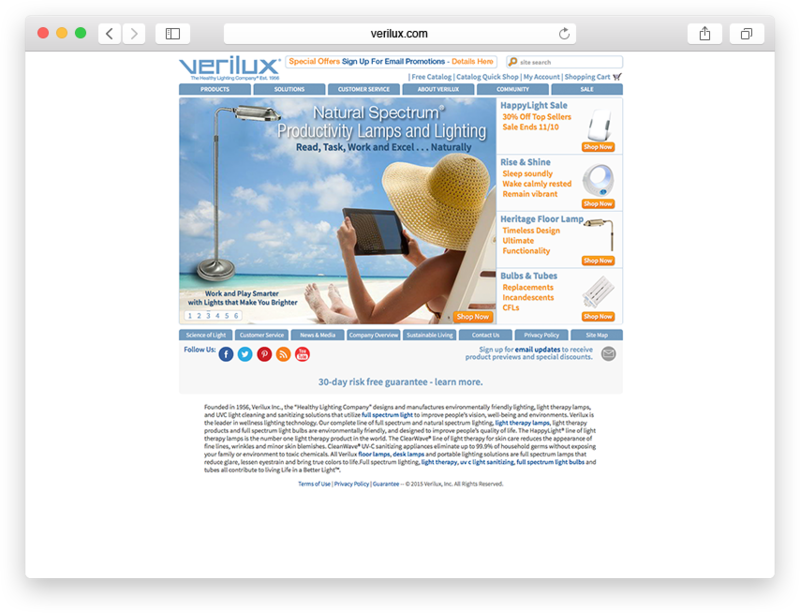 When it comes to innovative products for healthy lighting, and now cleaning, Verilux is tops in our book. Original developers of the HappyLight to help treat energy lulls in people affected by lack of sunlight (Vermont from November to April! 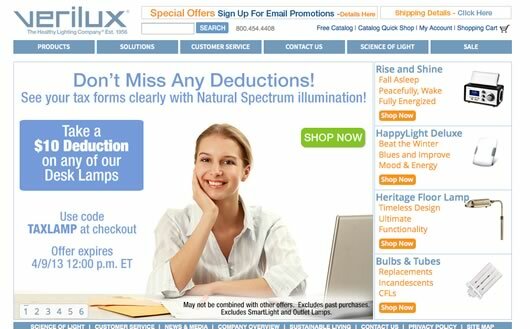 ), Verilux contracts VickeryHill to be their web experts. 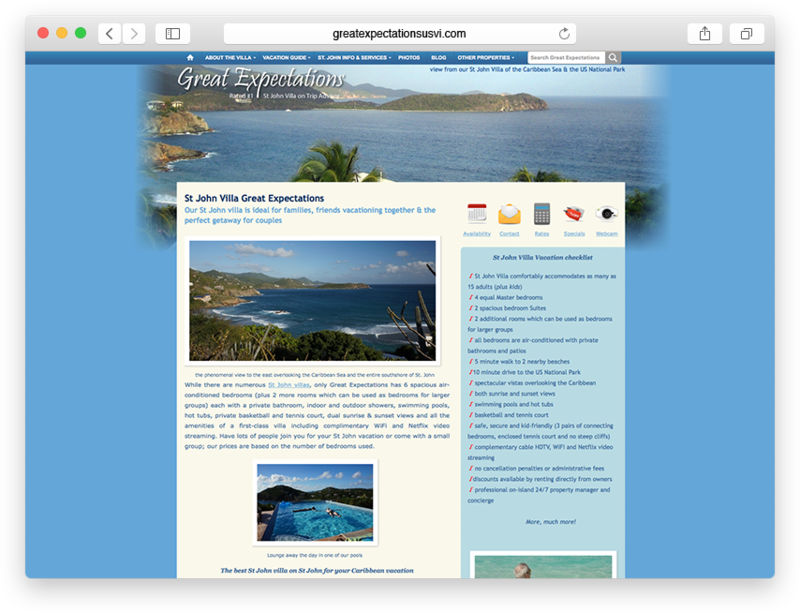 We initially consulted back in 2005 on basic web design concepts and email marketing campaigns and then started helping with their Yahoo!Store based online shopping cart. When they hit the functional wall with Yahoo!, we helped them research alternative solutions that would scale with their planned growth. MivaMerchant came through as an obvious choice and they have not looked back since the complete conversion in 2007. The storefront processes hundreds of orders a day without flinching, and tied with our custom content management system, they have nearly complete control over all content their visitors and the search engines can see. They utilize more than a handful of external service providers, from Constant Contact to LiveChat and we are there to help them all work in proper order.